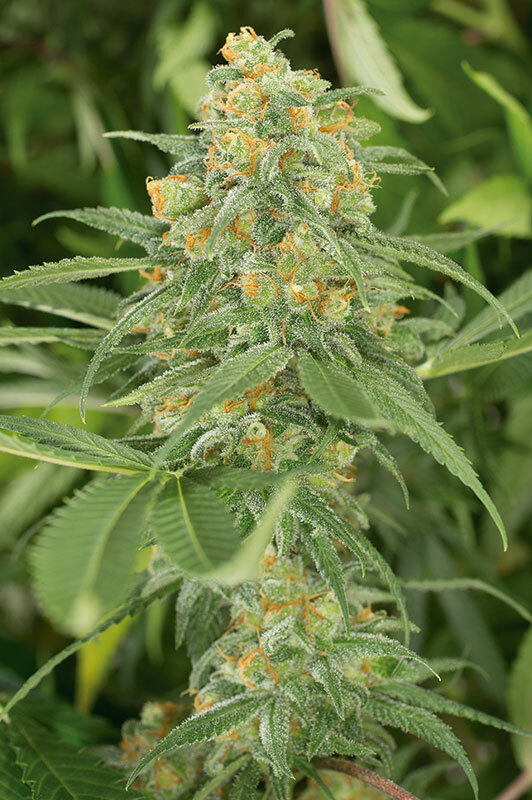 Green Crack is a cannabis seed of distant origins that comes from a 1989 SSSC Skunk#1 and an isolated Afghani cut. The result is a beautiful marijuana plant that grows very vigorously and that boasts amazing stability. Its structure, which reminds of a Christmas tree, is home to impressive amounts of buds. Resistant to mould and pests, it requires a short growing period indoors and responds best to dry, warm, sunny, temperate and Mediterranean climates outdoors. 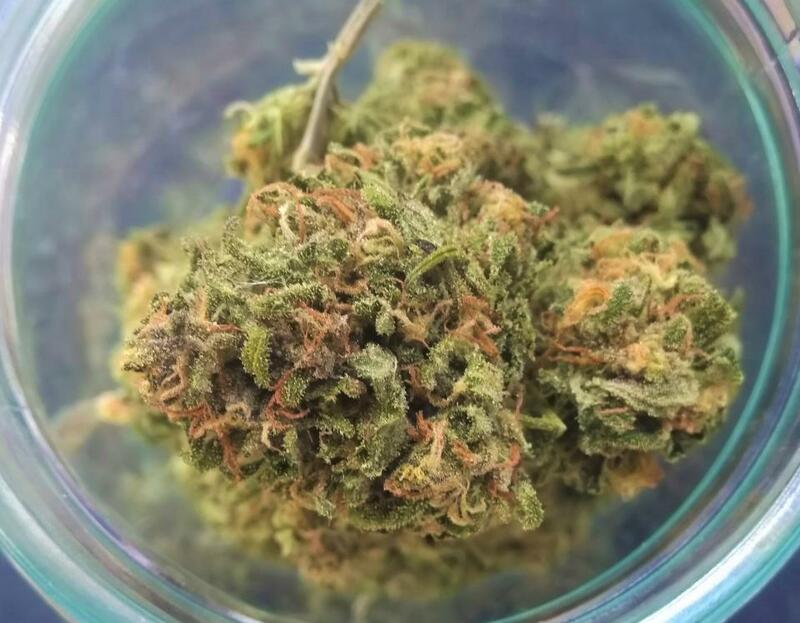 Green Crack is a cannabis hybrid with an aroma of exotic fruit and a flavour of citrus fruit, mango, pineapple, cedar and incense. 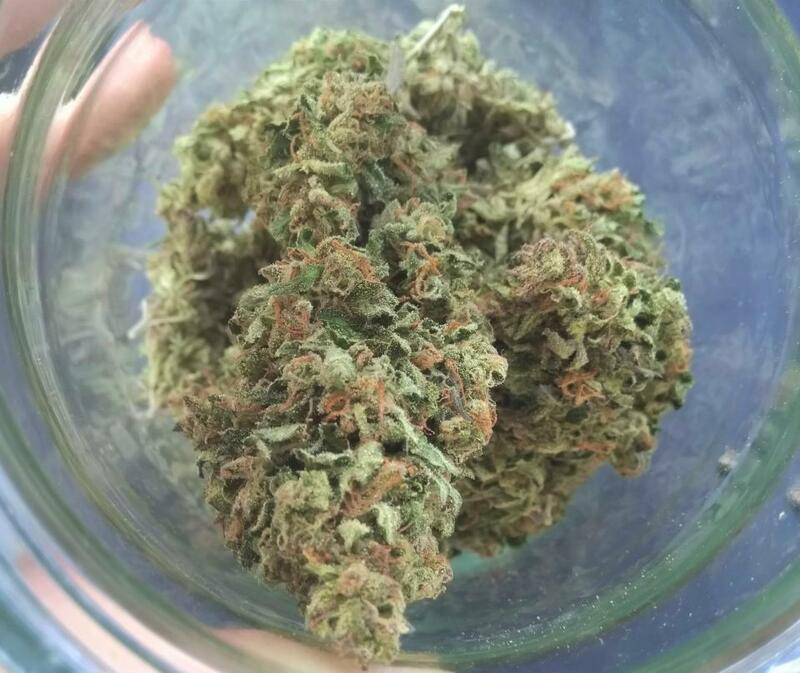 It provides a pleasant, powerful, long-lasting, cerebral, invigorating, euphoric effect that true Skunk lovers will definitely enjoy. Here's my outdoor Green Crack one month after harvest and three week's into curing. Guerilla grown, had three diffirent pheno's, all shown rapid growth in vegetative stage and very resistant in flowering stage (one week before harvest had few rainy days, not even a sign of mold!). Pheno 1: Loudest smell of all of them, more skunky Godness with hint of mango. 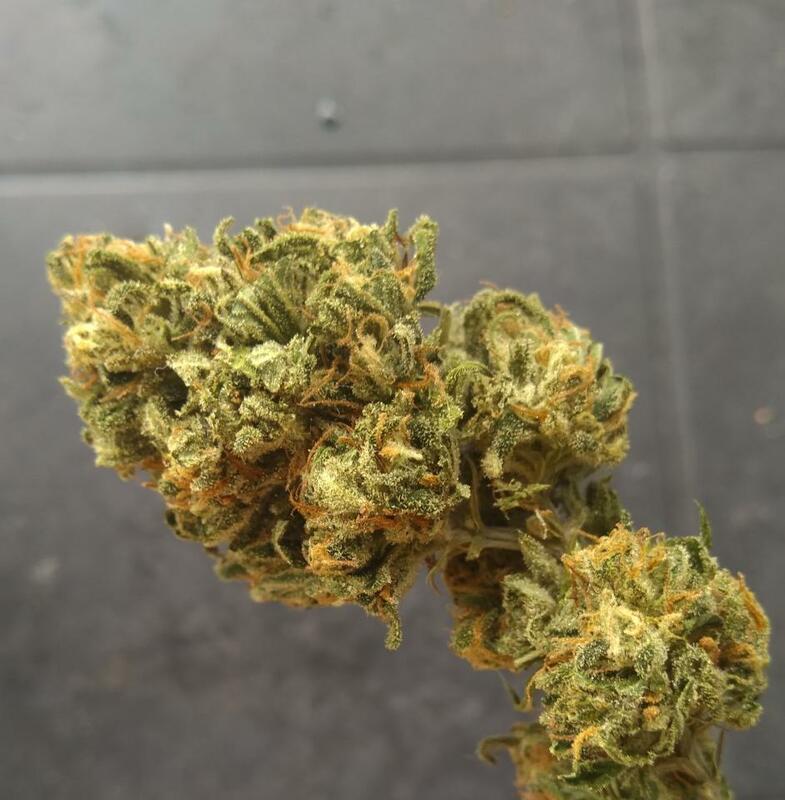 Pheno 2: This one have straight sweet mango smell and taste and beautifull look also! Pheno 3: Similar look to the Pheno 1 but the smell is more citrus, cedar with best taste out of all of them! Thank's HSO for providing me this quality genetics, unseen in part of Europe where I'm from. Only buying your seeds for years now, never regret! This strain is growing crazy!!! One of the best strains for outdoors and indoors yield is amazing!!! This year got one plant that's looking at 3lbs :) amazing scent and just vigorous veg!!! In spain is the BEST option for mediteranean climate. High in production, aroma, taste as a tropical juice and good vibes. 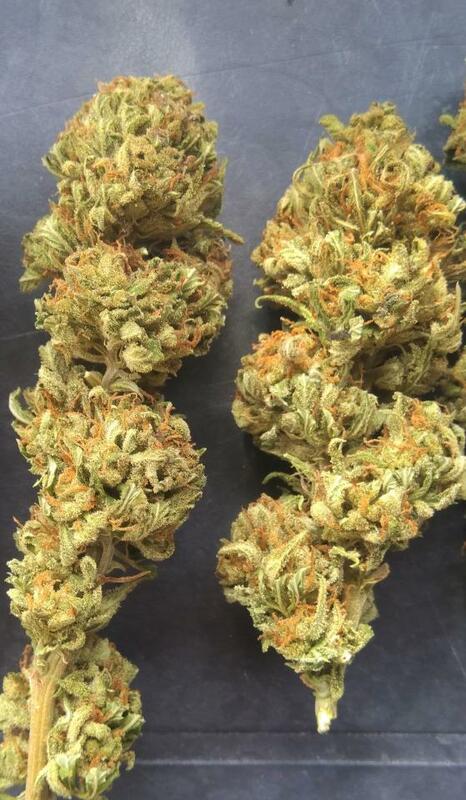 Green Crack is just a absolutely amazing day time strain, or night time strain, really just a any time strain! You cant go wrong with putting this in your garden, you wont be dissapointed. The plant is fairly stocky for a sativa dominant strain, and behaves really well indoors. Puts on lots of resin in the last 4 weeks, and gets a beautiful aroma that really makes you think of Afghan Kush and Skunk, but with a sort of fruity twist on the finish. I have it+=) Start story! This is a staple for greenhouse grown Michigan medical cannabis. It can have PM and botrytis issues with excessive humidity, but is more resistant than MANY other strains. Highly suggested that northern growers (44 degrees N) use a greenhouse to finish well if falling/variable temps in late Sept are an issue. What a beautiful plant: the smell, the taste, the effects make this a top shelf choice. Perfect strain for getting stuff done or a night out on the town. It won't bog you down. Instead, the mental shift will lift your spirits and give you wings. Growing is fairly straightforward as long as you give her the attention she deserves. Indoors, give her a longer veg time to increase yield as her flower stretch seems on the lower end. The fruity scent and flavor seem to be cemented on the latter part of the harvest window. Excellent strain! I did flower it for 65 days and it got almost black, well dark purple anyways. Not too bad smoke either. 315W CMH + 660nm leds + RDWC + Green Crack = happy days. Absolutely love this strain and HSO nailed it. My trees are outdoors and already passing 10ft, figure on 15ft+ by harvest. Super easy to grow. Just give her room. You've gotta love this medicine! Love this strain! Easy to grow during the veg cycle. Takes training very well. One of my best yeilders after the Bloom cycle. Pretty much a set it and forget it strain. Good for beginning growers. The only strain ive ever bought twice. This was my first grow in coco easy resilient plant to grow witj Huge buds with a lovely citrus aroma. Quick finisher with great yield and qaulity. Fresh and fruity with a lovely flowery taste on the exhale and super dense buds. Love this strain , easy to grow and has a beautiful exotic flavours. Above average yields and , very potent. Absolutely incredible!! Just as I thought. This is the first I've grown from HSO and I am not disappointed. Smells soo strong and is definitely the best looking girl in my garden. Amazing jobs guys definitely will be trying out more of your strains. Now that I've had a decent representation of the great "Green Crack" I can truly say that its top 3 favorite strains that I have been blessed to experience. First note is the aroma fresh from the jar. Its that beautiful Indica scent while this strain is a well known Sativa. Smooth to smoke and taste as great as it smells. Super upper for me. Dishes , laundry done. I highly recommend this strain to all and anyone! I love growing this pant and very much enjoy the smoke. Incredibly stinky, huge buds in dwc, one week to go and even with a big filter, having a hard time containing the smell! Will definitely buy again from humboldt! Love this strain , very nice yields!